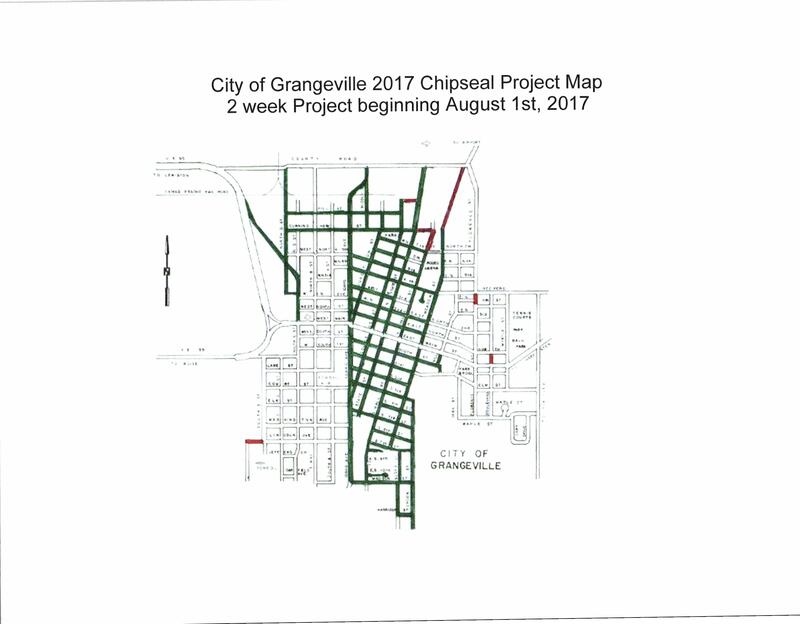 The green areas of the map below reflect the 2017 Chip Seal Project. If you have questions, please contact the City, 983-2851. June 19, 2017 – 7:30 P.M.
1. Banner request from Jodi Hoogland to hang a banner advertising Octoberfest, the quilt walk and the art show from August 28th-September 30th.